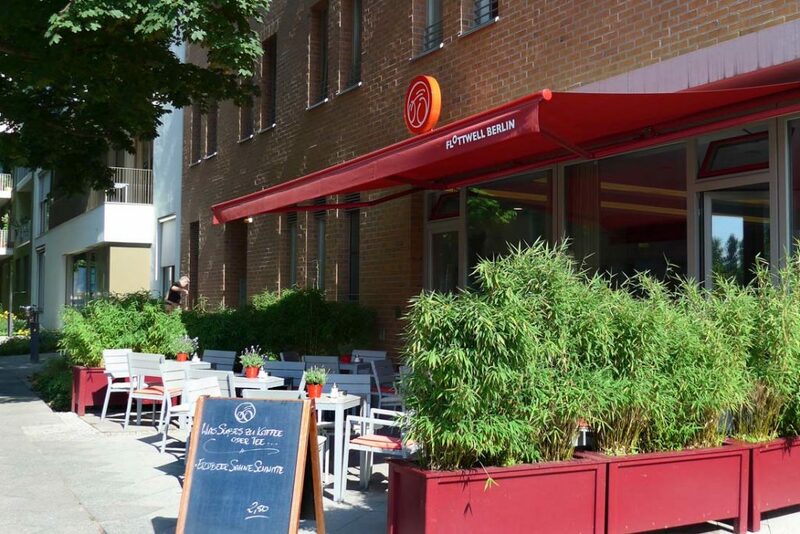 Are you curious about Berlin? Are you working in Berlin? Do you want to experience Berlin? 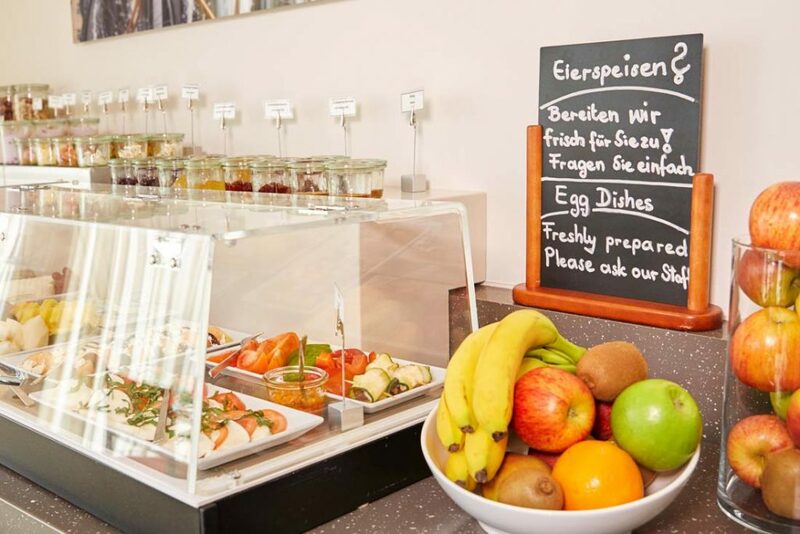 – We warmly welcome you to the FLOTTWELL BERLIN Hotel. From here you can begin your entirely unique Berlin experience. We want you to get to know our wonderful city with all its history and stories, and to enjoy it, too! 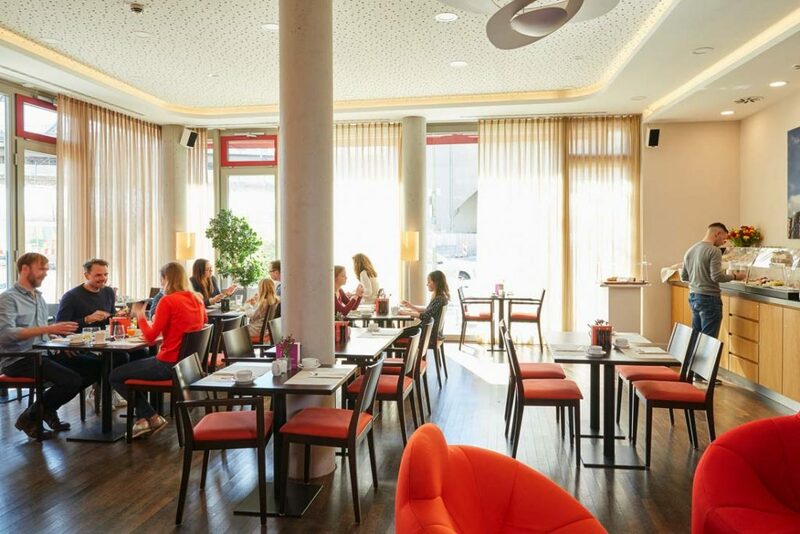 Our friendly reception staff are always there to help with words and deeds so that you have all the tips you need for a relaxed day discovering Berlin. 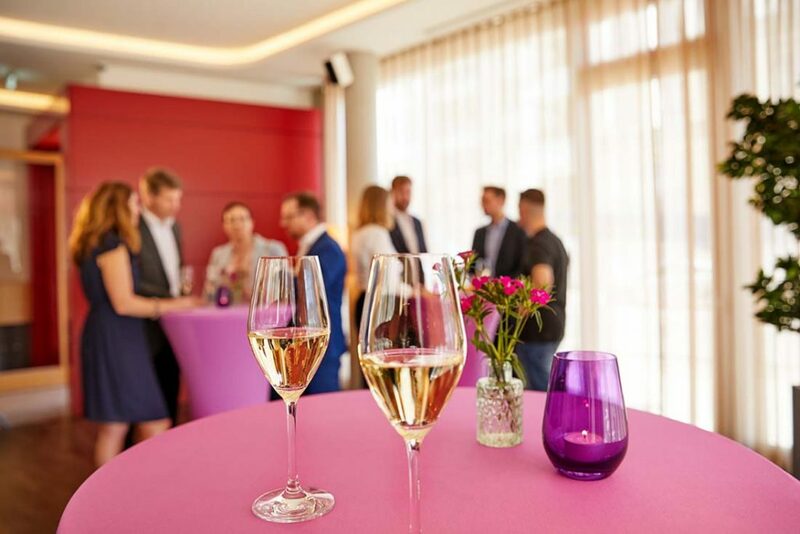 We live and breathe Berlin, and, with professionalism and warm hospitality, we aim to help our guests have a special stay in Berlin. you get a good start to the day. 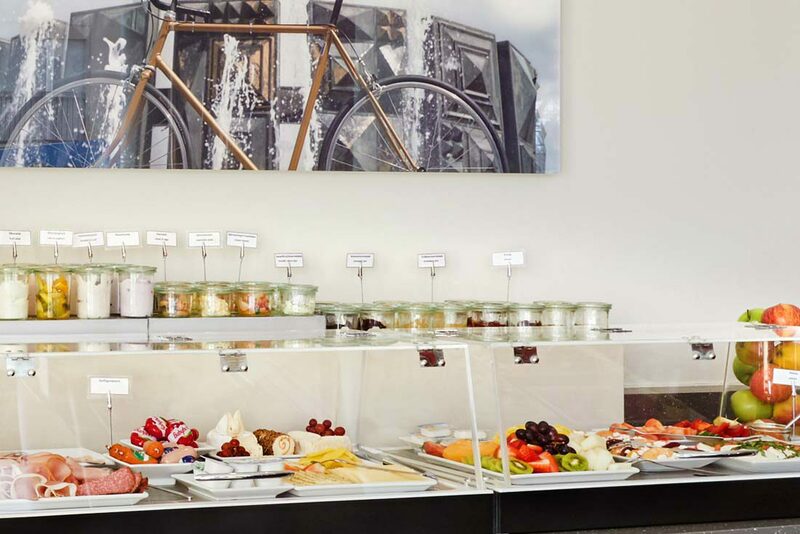 We put together our breakfast buffet for you with love and attention. 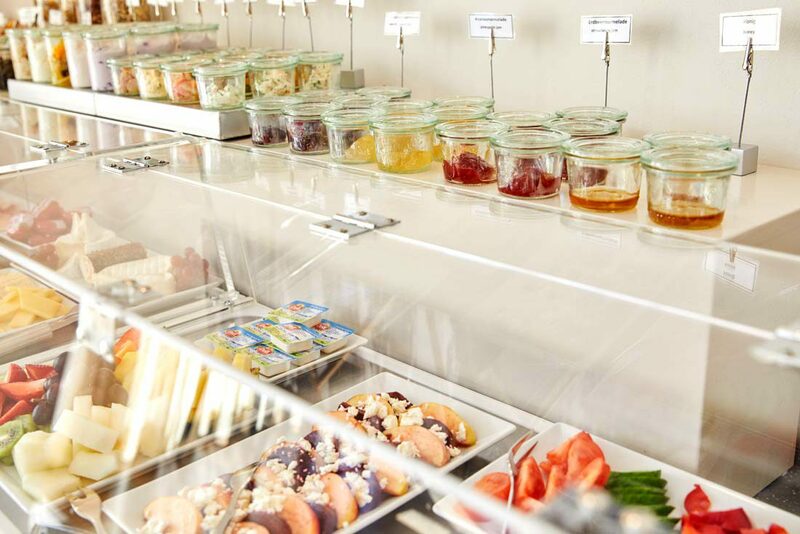 A changing range of salad, sausages and cheeses, fresh rolls and bread are available for you every morning from 6:30 am, from 7:30 am on weekends. 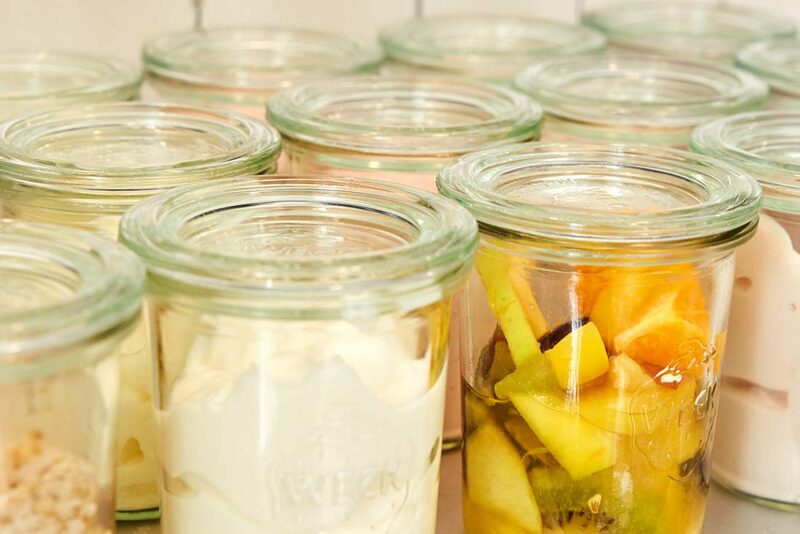 The jars filled with homemade desserts, quark, yoghurts and various salads, which are a fresh addition to the buffet every day, are particularly popular with our guests. An egg for breakfast? 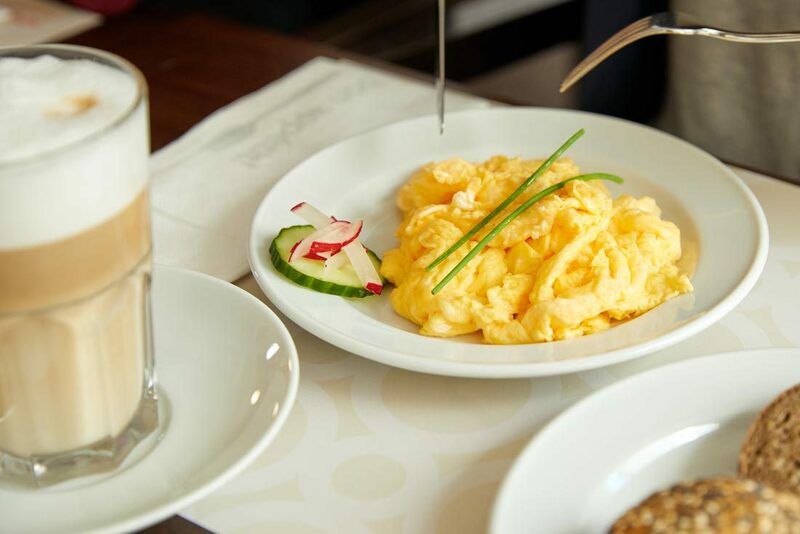 Our breakfast team prepares various egg dishes – with eggs from free-range chickens – freshly for you. A good coffee is also a must. We offer you various coffee specialities from our coffee dealer Kaffeepur – fair trade, of course! The tea assortment comes from the company Althaus. 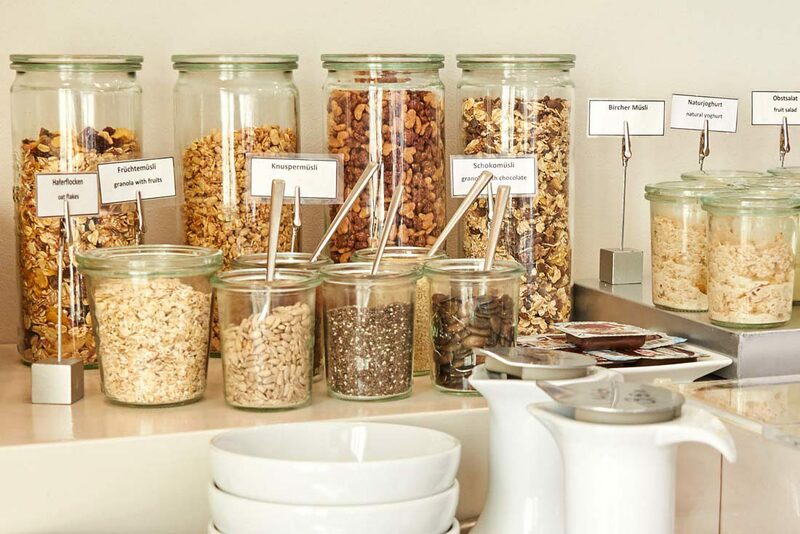 We do not use tea bags; the loose organic tea is offered in beautiful tins at the buffet. The company Bauer, a supplier from the region, supplies us with fruit juices. 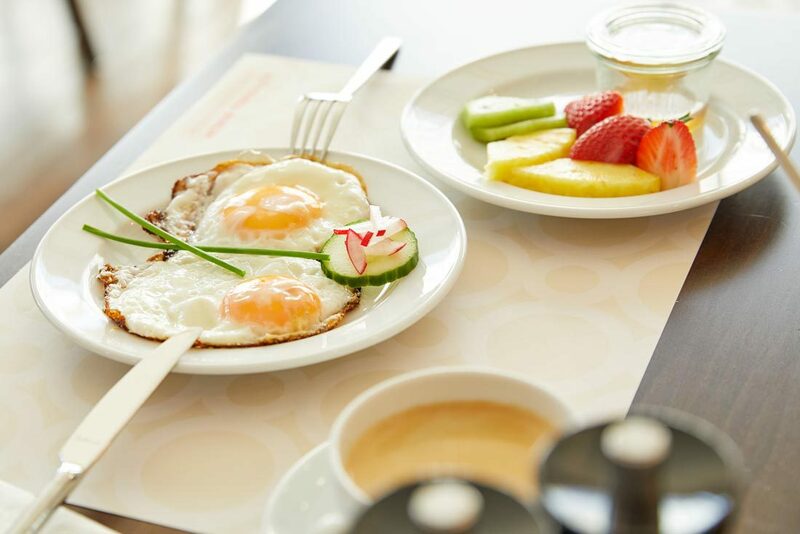 Do you like to read a newspaper with your breakfast? We have various free newspapers on offer. You are sure to have noticed – we love our guests and our environment. 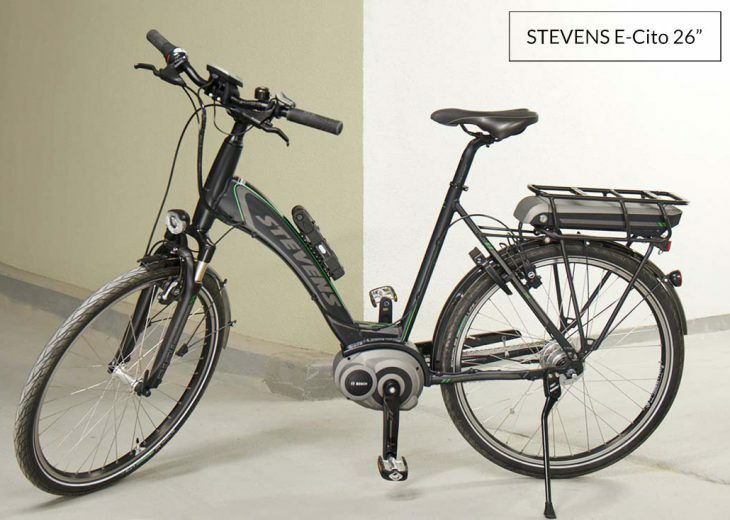 Berlin is becoming the bike capital of Germany. On a bike, distances melt away so it’s quick and easy to get from A to B, for example from Potsdamer Platz to Alexanderplatz. 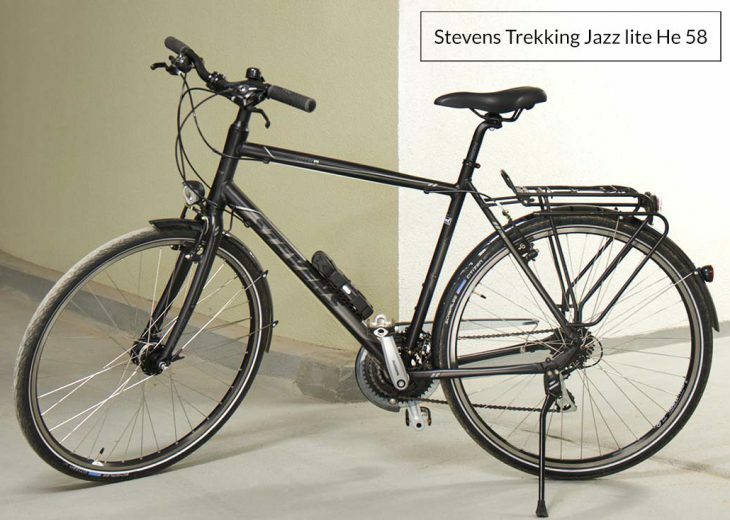 We have made a clearly-designed bike map for our guests that includes our four favorite tours through the capital. 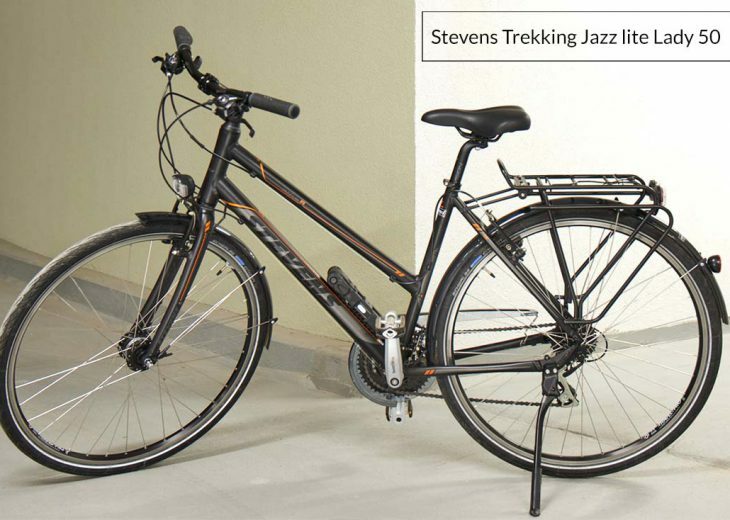 And, of course, you can also borrow the right vehicle from us: in total, FLOTTWELL BERLIN has six Stevens trekking bikes and two e-Bikes, four BBF Vaasa bikes and a cargo bicycle from Christiania Bikes. 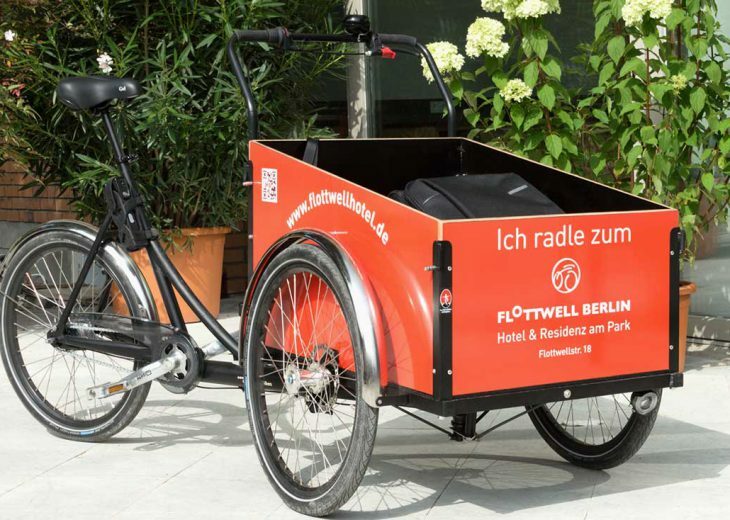 After a relaxed breakfast in the FLOTTWELL BERLIN Hotel, start off through the Park am Gleisdreieck and take in the sights of Berlin as you ride around. You sleep. We charge up your car! 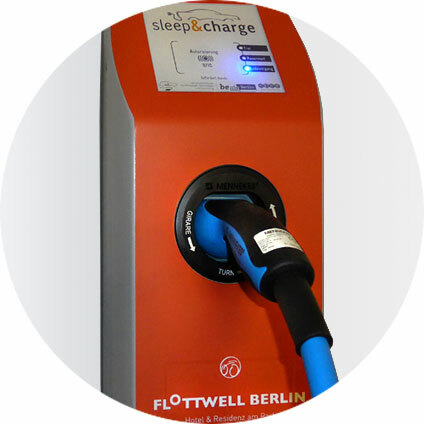 For the convenience of hotel guests, FLOTTWELL BERLIN Hotel has installed three 11 kW charging points for electric cars in its underground car park. Guests who reserve a parking space in our underground car park pay just €5 extra each time they charge their vehicle. 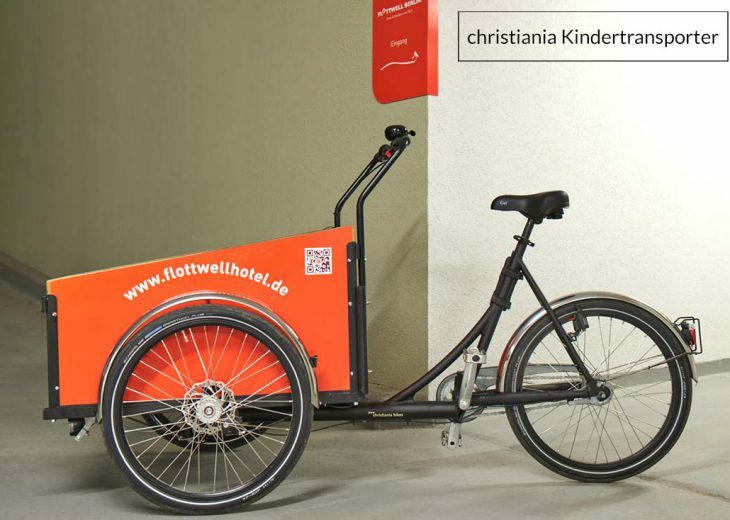 Not only is this considerably less than you would pay at a public charging point – but it also makes us one of the few hotels in Berlin to support e-mobility and provide guests with charging points. FLOTTWELL BERLIN Hotel by PrivateCityHotels. 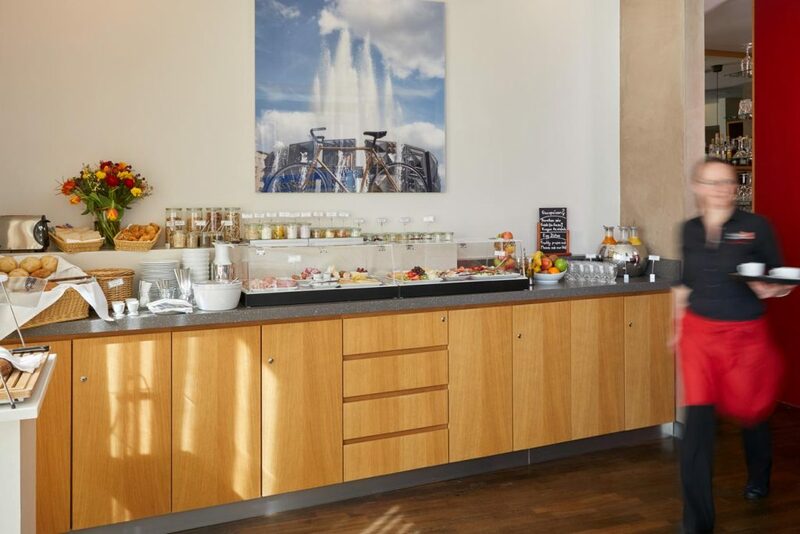 The FLOTTWELL BERLIN Hotel is a member of PrivateCityHotels. 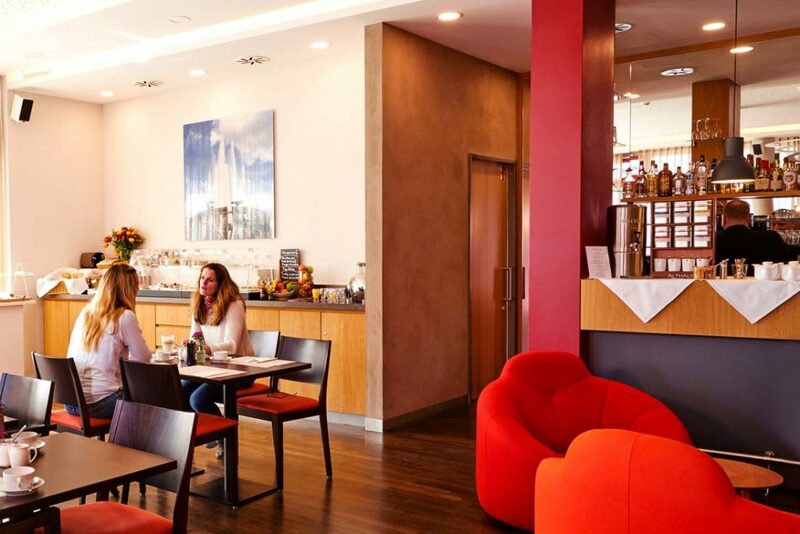 – the group of owner-run, private hotels in German-speaking cities. 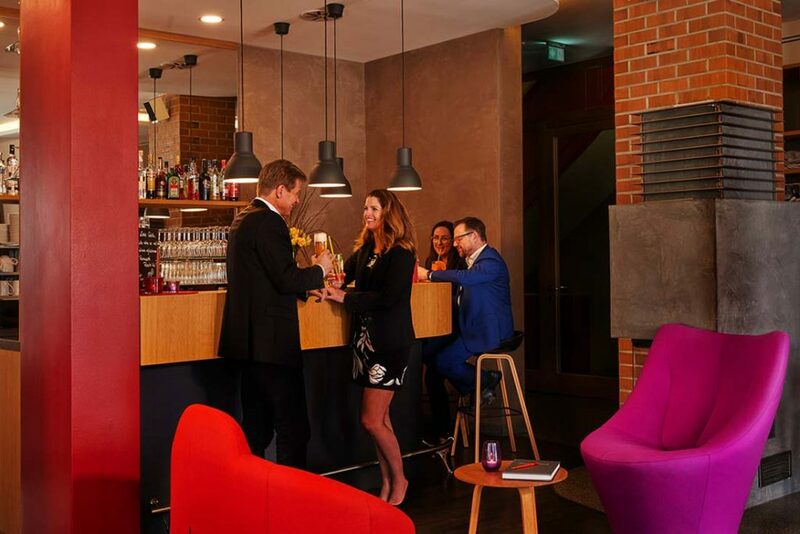 With around 55 individual hotels, none of which belong to chains, PCH hotels form a unique union. The PCH quality index is a guarantee of outstanding quality in the various establishments. In other words: as an enthusiastic host and with our engaged staff, we can offer you perfect comfort and an abundance of amenities. Our guests take center stage, and instead of anonymity and functionality, we believe in authentic and unique experiences. So why not come visit us, we’re already looking forward to it!